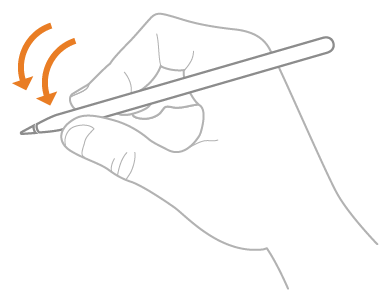 Pencil interactions let your app detect double taps the user makes on their Apple Pencil. Supporting Pencil interactions in your app gives the user a quick way to perform an action such as switching between drawing tools by simply double-tapping their Apple Pencil. To receive the double tap, add a UIPencilInteraction object to your app's view. To receive screen touches that a user makes using Apple Pencil, handle the touch events in your view. To learn more about handling touches, see Touches, Presses, and Gestures. The first generation Apple Pencil doesn’t support Pencil interactions. An interaction that tells your app the user double-tapped their Apple Pencil. The interface an object implements to handle double taps the user makes on their Apple Pencil.